This is just a sample of the many necklaces that are available. Please contact Wanda@ABeadC.com or telephone 416-256-7527 for pricing information. 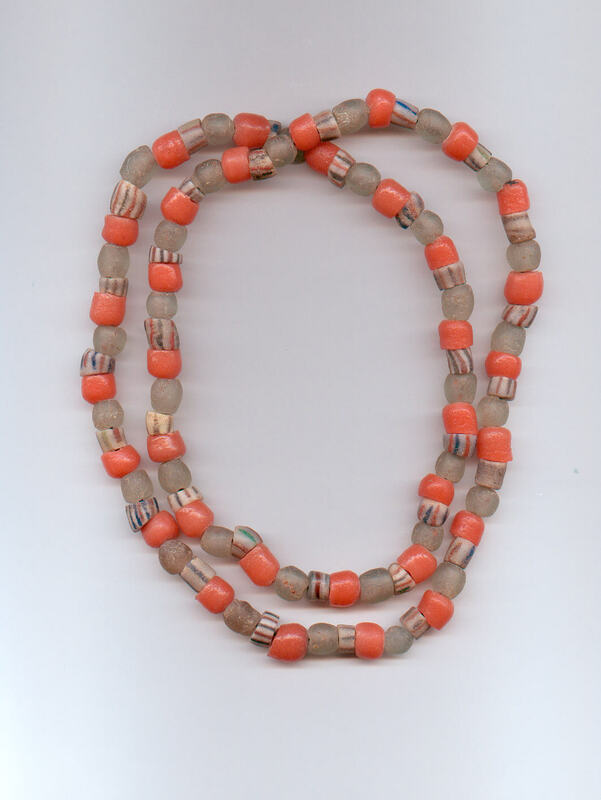 This necklace is part of a collection which features a unique Ghanaian mask pendant with beads from Ghana. 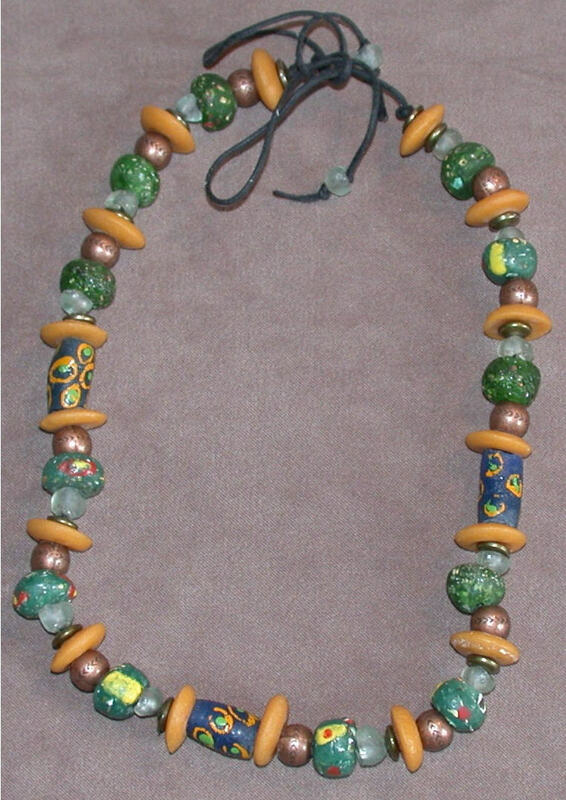 The beads are multicolored and include powder glass beads of brown, rose, dark green, lemon and patterned dark green. There are also clear Dogon beads, green Asamang beads and a Venetian green disc. The beads range in size from 1/2"x1/2" to 1/2"x3/4". 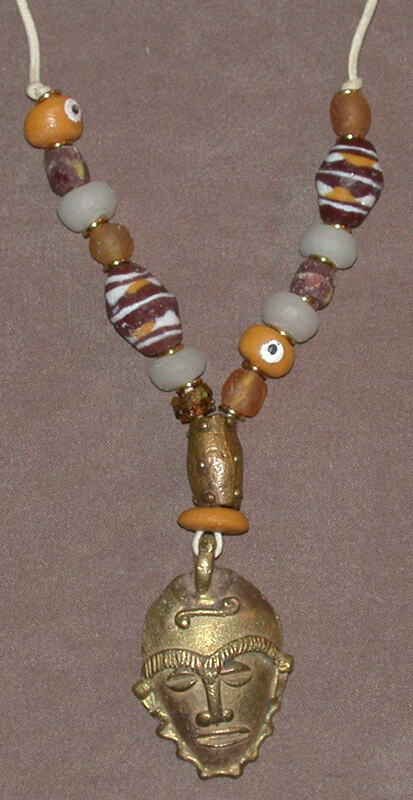 It also has modern copper coloured spheres, gold flat spacers, a Ghanaian brass tube and is on a cream cord with an adjustable drawstring closure. This necklace features a unique Ghanaian mask pendant with beads from Ghana, interspaced with copper coloured modern spacers. 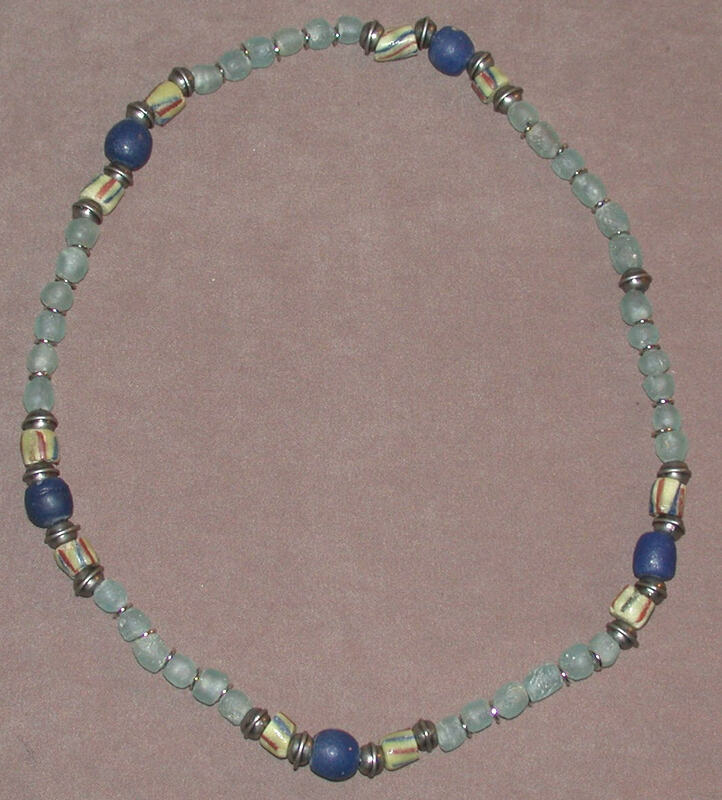 The beads include pastel green beads, rose powder glass beads, and clear Dogon beads which range in size from1/4"x1/4"to 1/2"x1/2", a Venetian green glass disc and a Ghanaian brass tube on a cream cord with an adjustable drawstring closure.